Greek pianist George-Emmanuel Lazaridis' superb debut release for Linn features two of the most famous works in the solo piano repertoire, both performed in breath-taking style. 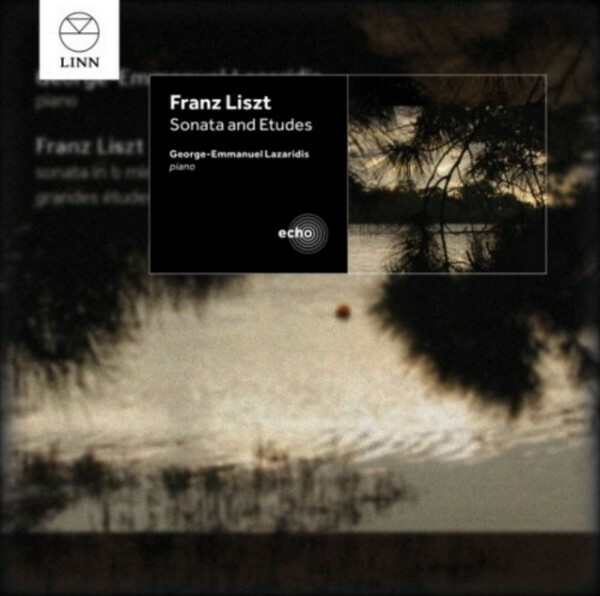 Originally released in 2006, 'Liszt: Sonatas and Etudes' has been re-issued as part of Linn�s Echo series which offers a second chance to enjoy the best of the label�s award-winning catalogue. Liszt's Piano Sonata in B minor is one of the seminal works of the romantic piano repertoire and one of the most technically challenging pieces any pianist can undertake. Continuing this virtuosic theme, and demonstrating his great ambition as a pianist of the highest calibre, Lazaridis also presents Liszt's Grandes �tudes de Paganini. This six-part composition, based on themes originally composed for violin by Niccol� Paganini, again places huge demands on the technical and interpretive abilities of the performer. As well as receiving a multitude of five star reviews upon its release, 'Liszt: Sonatas and Etudes' was also chosen as one of '5 Essential Works by Franz Liszt' in 2012 by BBC Music Magazine. Born in Greece, George-Emmanuel Lazaridis has a flourishing international career that has taken him from the United States and Mexico to Europe, Russia, Egypt and the Middle East. During the past 20 years he has performed in some of the most prestigious venues worldwide, including London�s Royal Albert Hall. His appearances have received great critical acclaim - audiences and critics alike recognize him as one of the finest pianists of his generation. He has received a plethora of honorary awards and scholarships.